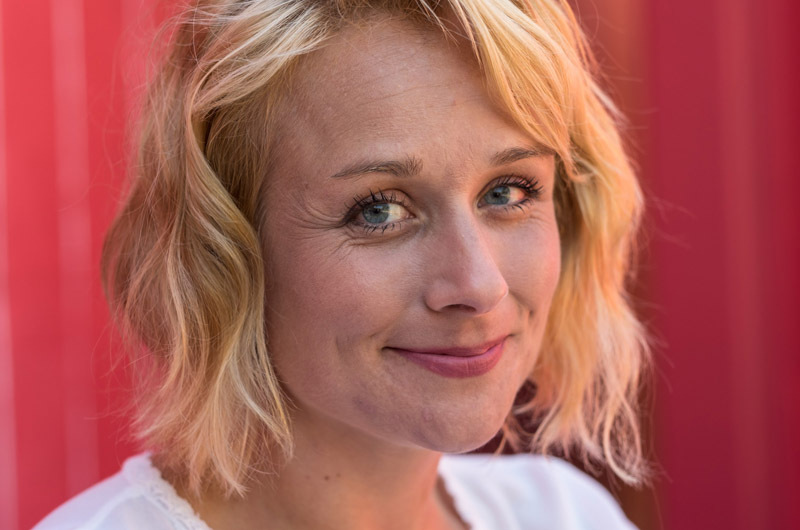 Jessie Damroth previously worked as a development officer at Williams College, and before that at Duke University. Before school let out on Tuesday this week, a worker was busy hammering outside the Martha’s Vineyard Boys & Girls Club in Edgartown, where new insulation and wood shingles will soon cover the white-painted cinderblock walls, and new signs will welcome students and visitors from across the Island. The first kids arrived around 2:40 p.m., carrying their enormous backpacks, and gave their registration numbers at the door. Before long the space was filled with laughter, shouting and the sound of foosball. Jessie Damroth didn’t often visit the club when she was growing up in Chilmark, but many in her family did, including most people on her mother’s side, and her grandfather, back when it was the Boys Club of America. Last week, Ms. Damroth took over as the club’s first female executive director since its founding 79 years ago, and already she is helping usher in a new era, with several major projects completed in the last year and several others in the works. Her return to the Island this summer after 13 years has been nothing short of a homecoming. Ms. Damroth’s previous work as a development officer at Williams College, and before that at Duke University, will likely come in handy as the nonprofit Boys & Girls Club continues to raise money and plan for the future. At both her previous jobs, she handled major gifts (over $250,000) in the Mid-Atlantic and Southeast regions, often traveling for one-on-one meetings with donors and taking part in large fundraising campaigns. A $229,000 grant from MVYouth this year will fund a number of improvements at the club, including a new gym floor, new bathrooms and a new exterior to the building. A rooftop solar array, new insulation in the gym and a new heating and cooling system were recently installed. As part of the grant, the club is also working on a plan for marketing and communications that Ms. Damroth hopes to complete this year. “That’s huge,” she said, noting the importance of highlighting the club’s Islandwide role and partnering with other Island groups to make better use of the facility and identify resources. 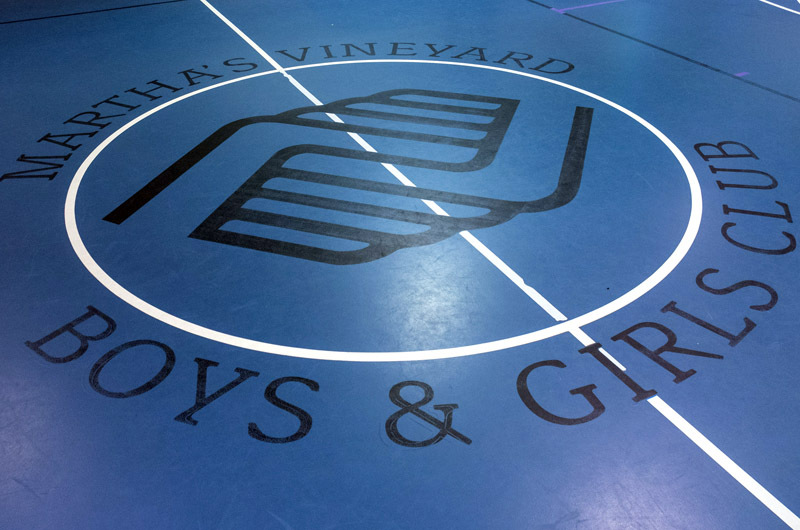 She added that fundraising and marketing go hand in hand for the club, which has undergone a number of public transformations over the years — from the Edgartown Boys Club in 1937 to the Boys Club of America a year later, to the Edgartown Boys and Girls Club in 1983, and finally the Martha’s Vineyard Boys & Girls Club in 1985. Along with her years in professional development (she was also director of membership at Professional Educators of North Carolina and a fundraiser for University of North Carolina Public Television), her many Island connections have proved essential. On her first day last week, when she learned that two trees on the property needed to come down, she got on the phone with Robert Hagerty of Hagerty Tree Service in Vineyard Haven and quickly set up an appointment. “Technically, he’s family, so I was able to say, ‘Look, I need help now,’” she said. And when the handle on the oven in the kitchen broke off the same day, she called Bob Crane at Crane Appliance, and he offered to donate a new oven. “He’s going to be sending it over probably this week,” she said. Back inside the building, Ms. Damroth opened the door to an empty basketball court, where a blue rubberized floor will soon be replaced and new windows and doors will be installed. 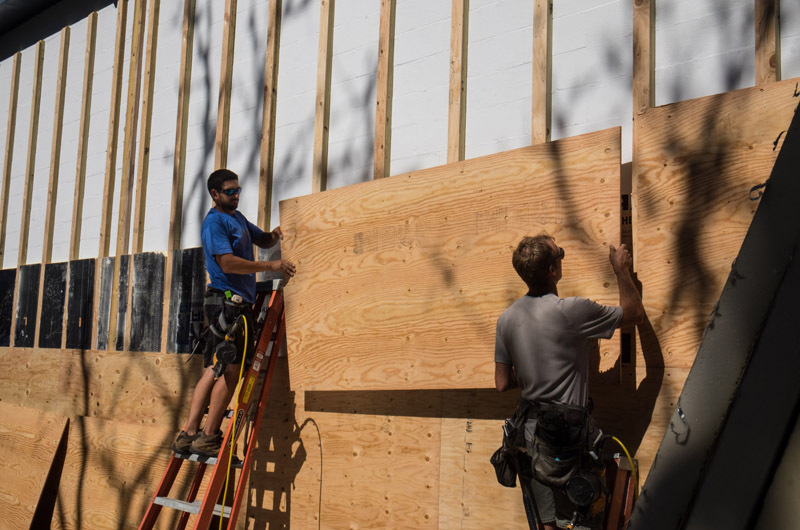 The building was originally built as a bomb shelter in 1977, but with other shelters on the Island, she said, the club can finally add some windows. About 100 kids use the building every day, benefitting from its computers, art room, gym and game room — which has pool, air hockey, foosball, bumper pool and ping pong. An old vending machine in the corner will soon be taken away, with an emphasis now on healthier snacks that are available regardless of one’s ability to pay. Affordability is a key feature that Ms. Damroth plans to carry forward as the club enters a new phase. Nearly half of all member households earn less than $30,000 a year, she said, and several families benefit from the state’s Community Development Block Grant program, although a series of proposed changes at the state level may greatly limit the amount of money coming to the Island. “People work really hard here,” Ms. Damroth said. “We have a lot of high-need families, and we are also a seasonal place, so where other families may be going on vacation in the summer, we still have kids who need childcare.” Membership for the school year costs $20, and a summer camp operates with a $30 daily fee ($10 for students who qualify for free or reduced-rate lunches). But Ms. Damroth said the club would never turn anyone away based on financial need. She pointed out a small dorm room with neatly made beds where college interns stay in the summer, and an adjoining office shared by office manager Jan Hyer and other club employees. Her own office is near the back of the building, although she isn’t spending much time there, opting instead for the center of action, where she can get to know the kids and their parents. Along those lines, she has also begun introducing herself to every donor, regardless of how much he or she has given to the club, and plans to meet with vendors as well. Her own kids, Ayden, five, and Logan, eight, are attending the West Tisbury School and spending their afternoons at the Boys & Girls Club. Looking back, Ms. Damroth recalled a level of separation between up-Island and down-Island that seems to have dissolved since she was a kid, and she partly thanked the club, which welcomes students from all over the Island and offers free transportation after school, along with year-round, affordable programming. “It’s a great opportunity,” she said. Congratulations! That's a lot of hoops! I hope you are a donor to the program; maybe they can create a board listing record holders & honor your accomplishment. Congratulations on returning home. Although we don't live on the island, we visit four to five weeks in the summer, and every time we arrive, it's a breath of fresh air and it always feels like home to us. Enjoy your very important job!! A huge welcome home and congratulations to my favorite babysitter in the world! No guts, no glory. Congratulations on embracing the challenge. Let me know if I can be of any help.